How can we change our behaviours? The first step is understanding our habits. For better or worse, habits are the invisible building blocks of daily life. Research suggests that about 40% of what we do is repeated almost daily and yet most of the time we aren’t really aware of what’s happening. In this series, neuroscientist Ash Ranpura and comedian Alice Fraser deep dive into the science of behaviour change. They want to find out how we can make good habits and how we can break bad ones. Along the way they meet the man who invented the science of habits, talk to a woman trying to change the world through figuring out how to make behaviour change stick and try out some of the latest tricks and techniques designed to help you change your own behaviours. This is the one series you should have in your headphones if you want to understand how to make positive changes in your life. 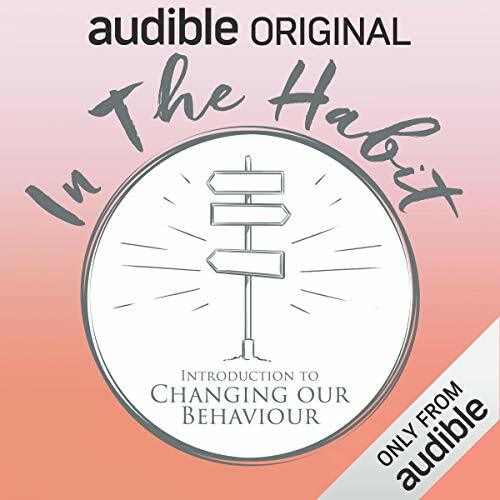 As an Audio Show - free for members - when you add In the Habit: Introduction to Changing our Behaviour to your library, you'll get all 6 episodes, each with a runtime of about 20 minutes. This is a must-listen series. I learned so much about habit formation and human nature. really enjoyed the content. looking forward to more podcasts from you. you make things simple.